The tech giant Sony Mobile Company is planning to release a new firmware update for the Xperia SP model. The new firmware has received the necessary required certifications from PTCRB already. The new firmware was certified by PTCRB with the build number 12.0.A.2.254. 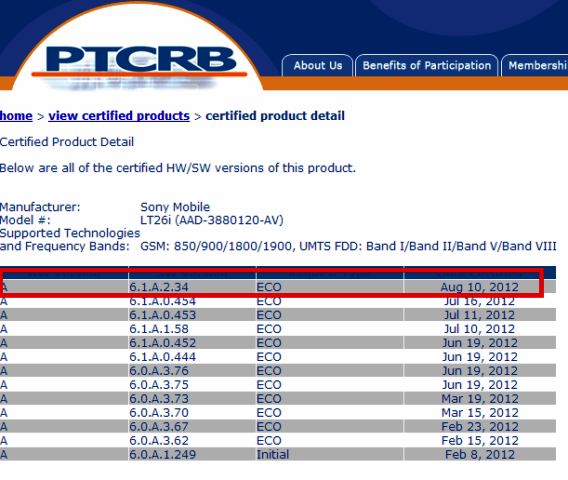 It has been certified for all three Xperia SP models i.e. the North America LTEC5306, Asian/European LTE C5303 and the HSPA+C5302 according to the Xperia Blog notes. The new firmware update is expected to come as a stable version. It might bring along with it many bug fixes and some new other improvements and features also. Right now, we don’t have any specific information as to when the firmware update will be rolled out. But we will keep you updated about the changes and other details as soon as we find out more reports about this new release.